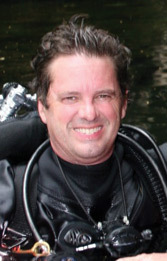 Jeff Bauer is a scuba instructor specializing in cavern and cave diving. He is also an avid aviator and dog lover and can be seen flying animal rescue missions or diving the many beautiful springs of North Florida. Josh Jensen is the self-perceived master of the underwater world and knows no fear. Until he almost drowns scuba diving with his friends in the calm crystal clear waters of a beautiful North Florida spring on a warm sunny day. Rattled by the wakeup call and unencumbered by wisdom, he decides to pursue training to master the cold water-filled dark places beneath a ceiling of impenetrable rock. Soon he and his divemates realize this sort of class isn’t just an easy lap around the pool. Their overbearing and harsh instructor challenges them to come to terms with life and death with only seconds of air to spare in claustrophobic passages. Josh has to juggle the pending sunset of one romantic relationship with the faintest glimpse of another, irate parents and a troubled boss ready to fire him. A diving tragedy stuns and deeply saddens Josh and he questions whether diving in caverns is too dangerous and even if he should continue diving at all. Dealing with the loss, he discovers a link to a diving fatality that estranged an experienced team of cave explorers in a deep Mexican cave years ago. New discoveries heal old wounds and bring enemies together as Josh struggles to find meaning in death. Few works of fiction capture the essence of cave diving and scuba literature is cluttered with many tedious non-fiction accounts of diving triumphs. 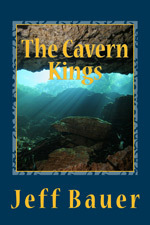 Sprinkled with dramatic and realistic dive sequences penned by a real-life cave diving instructor, THE CAVERN KINGS is an adventure filled with dangers above and below the waterline that any reader will enjoy. Josh Jensen dreams of becoming a member of the most elite cave diving team in the world. His biggest hurdle is that the head of the team hates his guts and doesn’t believe he has what it takes to dive with the best of the best. 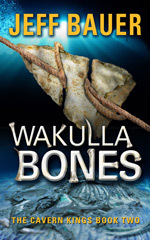 Josh discovers amazing underwater finds that should ensure his rightful place in cave diving history but his loyalties, loves and bad luck continually get in his way. High school, junior year, and Emma is barely getting by, head down as she stays low on the social radar. Sadie, her best friend and constant companion, craves attention and understanding as much as Emma does. The two of them find strength and comfort in their friendship while surviving one crisis after another. Thing is, Sadie only weighs four pounds, stands ten inches tall and talks to Emma by barking. Until Emma notices something very unusual – Sadie displays a high degree of intelligence. Way intelligent. As in Emma and her learn how to communicate intelligent. Just the two of them, by jointly creating a special language only they know. Way special. Emma soon realizes the benefits of owning an intelligent dog with superior senses. Hiding Sadie in a converted purse sure makes for loads of classroom hijinks. Follow their story as the two risk discovery, an unexpected family tragedy, dog fighting, puppy mills and a glimpse into the secret world of canines through Sadie’s senses. This is Sadie’s challenge, a dog enduring her own teenage angst, struggling to find respect and acceptance in human society. 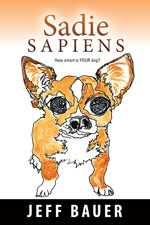 SADIE SAPIENS blends the pleasures and pains of a dog and young woman growing up together, proving that some bonds are strong enough to survive across species.